Anemia (low red blood cells) from folic acid deficiency was once a somewhat common health complication in newborn babies. Today this type of infant anemia is very rare thanks to a better understanding of folic acid deficiency, access to prenatal vitamins and prenatal care promoting foods that are rich in folic acid. Although neonatal anemia from folic acid deficiency is very rare now, it still does occur in some cases and it can lead to major medical problems for the baby. Folic acid deficiency or Folate deficiency is the lack of sufficient folic acid in the blood. Folic Acid is a type of B Vitamin that plays a key role in the production of red blood cells in the body. If there is not enough red blood cells in the body than a person will most likely be anemic. Everyone needs folic acid but it is particularly important for women who are pregnant. Healthy folic acid levels and intake during pregnancy helps prevent certain types of birth defects. Folic acid helps to fuel to the production of red blood cells. Red blood cells are the most numerous type of cells inside the human body. They carry oxygen to all organs and tissue in the various parts of the body. If a person is anemic they don't have enough red blood cells and the blood cannot bring enough oxygen to the organs and tissues. This will prevent the body from functioning properly. 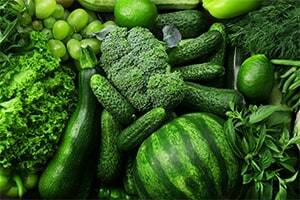 Lack of Folic Acid in Diet: Folic Acid is in green leafy vegetables, fresh fruits, fortified cereals, yeast, and meats. Not eating enough of these food can lead to folic acid deficiency. .
Certain diseases: Diseases such as celiac disease and cancer can cause low levels of folic acid. Certain medications: Some medications can prevent the body from absorbing folic acid such as phenytoin, methotrexate, sulfasalazine, triamterene, pyrimethamine, trimethoprim-sulfamethoxazole, and barbiturates. Pregnancy: Pregnant mothers are more susceptible to folic acid deficiency because the developing fetus needs more folic acid. The pregnant mother absorbs the acid more slowly. Genetics: Issues with folic acid absorption can run in families. Infants with this issue need treatment immediately to avoid long- term problems. Many folate deficiency symptoms may be similar to other blood conditions making prompt and accurate diagnosis difficult. It is important to receive a proper diagnose from a healthcare provider. A physician will order blood tests and a complete blood count test to measure the number and size of the red blood cells. If there is folic acid deficiency, there will be low counts of red blood cells and/or large and immature blood cells. The primary goal of treatment is to increase the body's folic acid level. The most common recommend treatment is taking folic acid tablets daily until the deficiency is neutralized. However, if the folic acid level is too low, a doctor may recommend receiving folic acid intravenously. In addition to taking the supplements, doctors will also recommend eating foods that are high in folic acid such as spinach, leafy greens, oranges, and pinto beans. Folic acid deficiency is especially dangerous in pregnant women because not only are they more susceptible to the condition but folate deficiency can result in harmful or fatal consequences for the baby. Having proper levels of folic acid is crucial before and during pregnancy. It can reduce the risk of certain neural tube birth defects such as spina bifida and anencephaly. Each year, there are about 4,000 pregnancies that are affected by spina bifida or anencephaly. Fifty to seventy percent of these cases can be prevented if expecting mothers consumed at least 400 micrograms of folic acid every day before and during early pregnancy. However, only about 30% of women know that a lack of folic acid before and during pregnancy can cause several neural tube defects on to baby. In addition to the neural tube defects, infants suffering from folic acid deficiency are at a higher risk for low birth weight, nervous system damage, still birth, brain damage, and heart defects. Healthcare providers have the duty of informing patient about proper prenatal care. Because folic acid deficiency can be avoided with proper vitamin intake, it is crucial for doctors to emphasize the importance of folic acid supplements. Folic Acid Deficiency occurs commonly in newborns and infants as well. Infants require high amounts of folic acid because it helps stimulate DNA replication and cellular growth. Infants who have folic acid deficiency may show signs of dyspnea, heart palpitations, weakness, glossitis, nausea, low body weight, headache, fainting, irritability, pallor and jaundice.